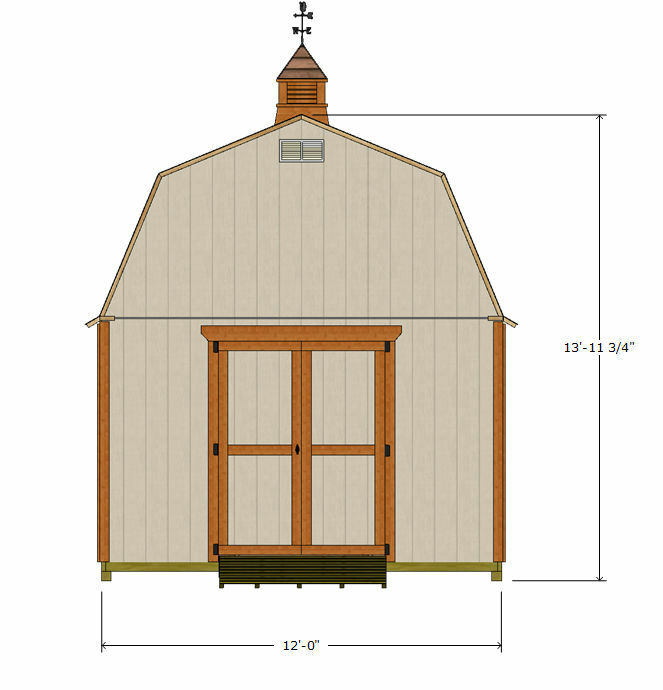 You can build this nice 12x12 Gambrel Roof Shed that has lots of storage space not only with the floor plan size, but also there is lots of storage space up above (just shy of 5' tall loft area height)in the gambrel roof area. 39 page illustrated and detailed building guide. 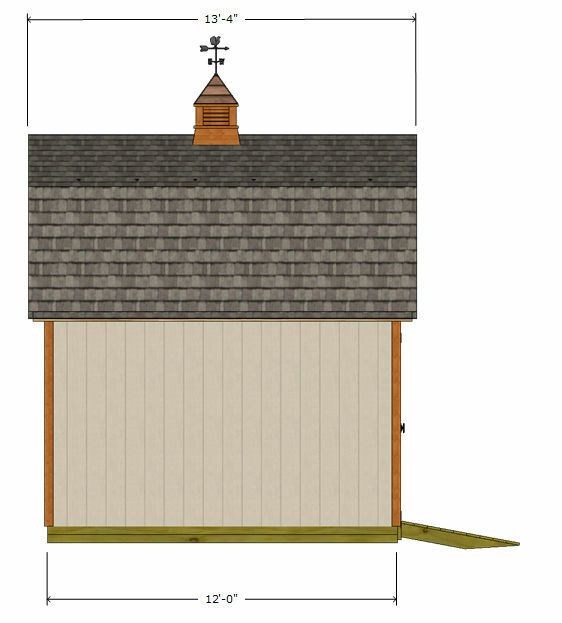 All plan views show lumber cut lengths, and the materials list is sectioned off by each phase of the project. 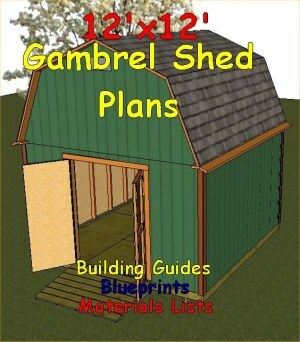 These 12x12 gambrel roof shed plans are downloadable immediately for $11.95 by using the buy now button below. Payment processing is handled by paypal and ejunkie and you do not need a paypal account to purchase using this payment method. If you encounter any problems at all please email me at shedking@gmail.com. 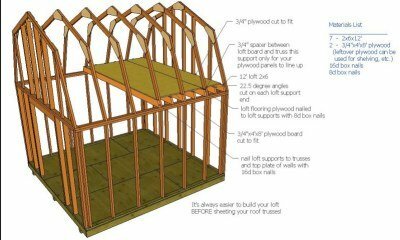 Leave 12x12 gambrel roof shed plans for more barn shed plans.